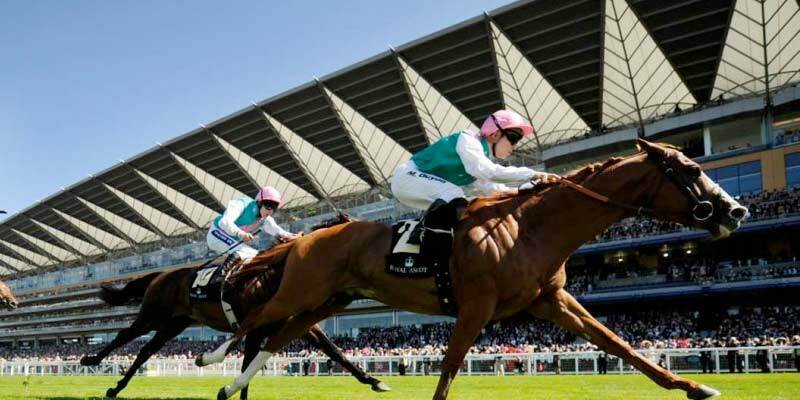 IT'S Champions Day at Ascot today as the flat season signs off in style. There are 5 group 1 races plus the captivating Balmoral Handicap with 20 runners over the straight mile. I also have a horse that I fancy over fences at Ffos Las at a nice price. Stradivarius might drift to a backable price before the off – something like 6/4 would be acceptable I think – but he has had a tough season and probably doesn’t want this soft ground. I think Thomas Hobson was the each way choice during the week when there were still more than 8 runners. There are now only 6 runners so the each way option isn’t appealing. This one is no bet for me unless there is a drift with Stradivarius. This is a really tough race to work out. The Tin Man is probably the most solid proposition but his price is short enough for a competitive race like this with 14 runners. Harry Angel is undoubtedly the best horse in the race on all known form but he has had issues this season including a bad experience in the stalls last time here and he is probably too risky. The one that I like is BRANDO who has the benefit of Jamie Spencer on board. Spencer is a bit of a Marmite character but even his critics couldn’t argue that he has an excellent record at Ascot. Brando is consistent and enjoys the softer ground he will encounter today and with the extra place terms on offer I think he is a solid each way proposition. In this one I think Lah Ti Dar is the one to side with but the price is a bit short for me to recommend a bet. Roaring Lion is a really solid prospect here over a mile provided that he enjoys the softer ground. The one that I think is totally overpriced though is LAURENS. She has hardly put a foot wrong all season, winning 4 Group 1s. If she takes to the soft ground she will be the one to give Roaring Lion most to think about. With additional place terms available she looks a sensible each way bet to me. Cracksman just hasn’t been the same horse this season and I wouldn’t back him wtih Mr Fix It’s money at the current odds-on price. The clear and obvious alternative is CRYSTAL OCEAN who is top class and is actually rated higher than Cracksman on official ratings after a really good season. 11-4 is a really good price considering that the others aren’t quite up to the same standard. There are 20 runners in this one and I can make a case for almost all of them to one extent or another. That tells me that the favourites are probably not great value despite obvious attractions. Raising Sand is a horse I tipped at 40-1 a few weeks back and we sneaked in a place return with the extra place terms. He has subsequently won his next race and although an obvious choice on soft ground he is now a bit short in the market at 11-2. Via Via is another who is attractive on this ground but he isn’t weighted particularly well. I have also been banging on about Escobar for a couple of months now and I am convinced that he is still well handicapped. A mile in soft ground will probably stretch his stamina but at 66-1 if anyone is keen on a small each way please don’t let me put you off. I have settled on two though that I am going to recommend. The first is HATHAL with Jamie Spencer in the plate. I mentioned Spencer earlier and his record over a mile at Ascot really is excellent. He rides the track so well and will be a real benefit to this horse who is very classy and enjoys soft ground. I can see him being timed to perfection by Spencer arriving late to nab the race on the line. My second choice is WAARIF who I have been following all season with great success – he already has 4 wins and several good placed efforts at nice prices. This demands another personal best today in probably the toughest race he has had so far. He keeps improving though and is a really competitive animal. Soft ground is no problem at all and the straight mile will also be ideal. Once again I think he is overpriced and can sign off for the season with another cracking run. COOLE CODY was excellent over hurdles last season and goes chasing now in a really competitive novice chase. He is a former point to point horse and to look at him you would think he is a natural chaser. I am slightly concerned that his price is so big but I’m hoping that we are getting value as a result of some horses from higher profile yards at the top of the betting. I’m chancing an each way bet on him and we’ll also follow his fortunes over the course of the jumps season. Enjoy the racing today and good luck!